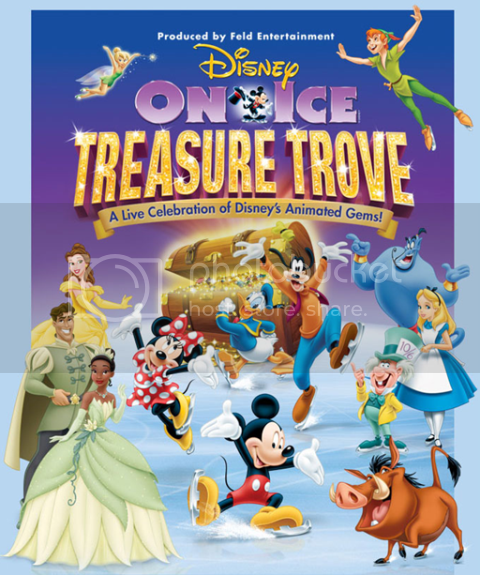 Discover endless riches when Disney On Ice presents Treasure Trove! Get yourself tangled up in Disney’s 50th animated feature with Rapunzel and Flynn, then enter the worlds of Tiana, Cinderella, Jasmine, Ariel, Sleeping Beauty, Belle, Mulan and Snow White. Set sail with Peter Pan, Tinker Bell and Captain Hook & his pirate pals on an adventure beyond Neverland! Trek the wilds of Africa with Simba, Nala, Pumbaa and Timon. And don’t be late to a very important date with Alice & the Madhatter as they march with the Queen of Heats’ Army Of Cards. This show is guaranteed to create family memories that will last a lifetime. Be sure to purchase your tickets here at Ticketmaster for a great Disney time for the whole family!